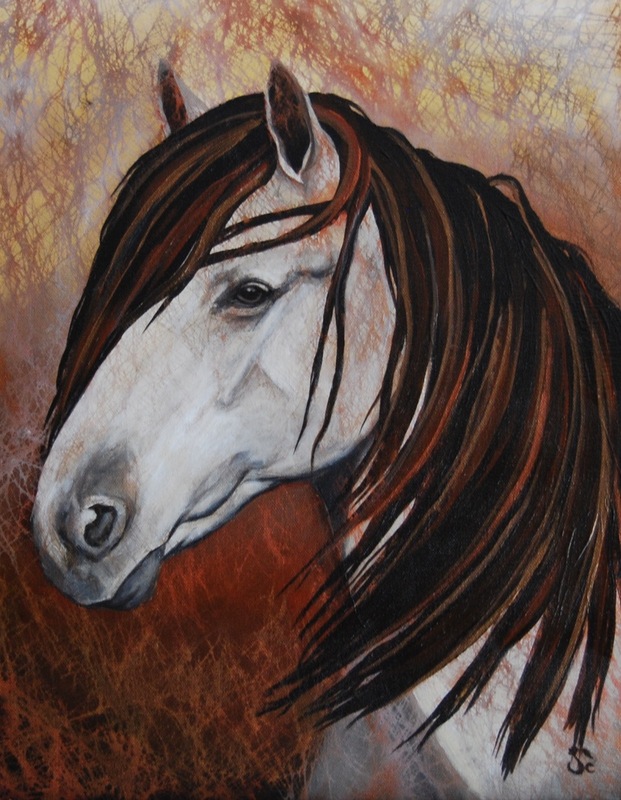 04/19/14 Update: Turns out I painted “Roxie”, horse of Rita Chase who won the auction. Thank you Rita for your generous support! "Bronze Mustang" my newest painting will be auctioned off at the "Top Cop" fundraiser at the Bergeron Ranch on Friday, April 18th for the Broward County Sheriff's Advisory Council (benefitting the Families of Fallen Officers and Firefighters of Broward County).